In the beginning of this album, the sounds of military marching leading to a moderately paced but heavy guitar riff immediately draws this album away from the sound created in previous albums. Unlike Epica, which has a sound reminiscent to their power metal albums: Karma, The Fourth Legacy, etc. This album is of a final stage in the bands prog evolution, which did not carry over as well as it should have to Ghost Opera. This is not a traditional power/prog album. There is much more compositionally progressive and musical prowess than found in your average power metal band. The use of sound effects, chord progressions, riffs, technical ability raises this bands music to a level not commonly attributed to any other genre than that of prog. Musically, the album has many subtleties which give it an unusual atmospheric, haunting, sad, eerie feeling which supports a compelling melody, no matter which song you choose. Khan's vocals communicate an emotional feeling fitting perfectly to the nature of any given song. Youngblood's guitar work lifts the songs to a point that would not be the same had anyone else written or played them. However, much the same circumstance with Dream Theater, the bass is hardly noticeable becoming muddled with the bass drum, though, not to the extreme of DT. One must not forget the drummer, Casey Grillo, who gives an impressive show of talent and technical skill that often goes over looked. Keyboard gives the melody it's true foothold, and when special guests such as Jens Johansson are at the keyboard mast, one is guaranteed a truly spectacular song. The story is based on the transcendentalist Johann Wolfgang Von Goethe's Faust. The story follows the typical Hero's Journey with the subtle transcendental themes, including the balance of evil and good, religion, ascendancy, the Alchemical Process, etc. 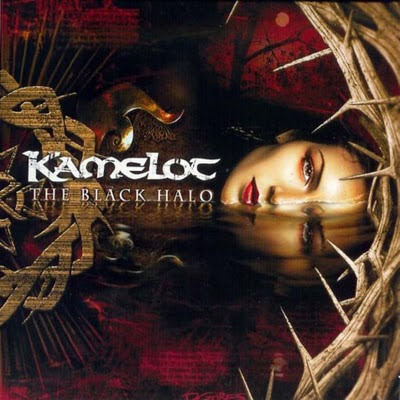 Musically, these themes are expressed quite appropriately but it remains unclear if Kamelot actually knew the intricacies of this philosophy/psychology (but most likely so). Lyrically, the concepts are expressed, but yet may have been entirely rooted in the basic story-line. All in all, a magnificent album that artistically transcends power metal to become entirely progressive and a simply beautiful album from start to finish. This is Kamelot's finest album and in my opinion, an essential album to not only metal heads but to all proggers.